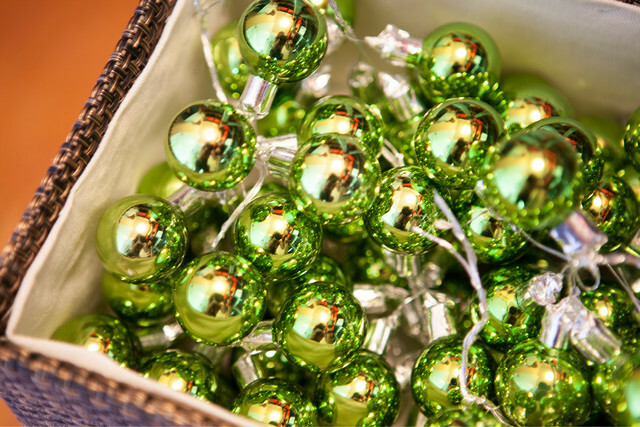 Having collected Christmas decorations, festive decor and wrapping essentials for the better part of his entire life, you can imagine just how impressive his collection has become. 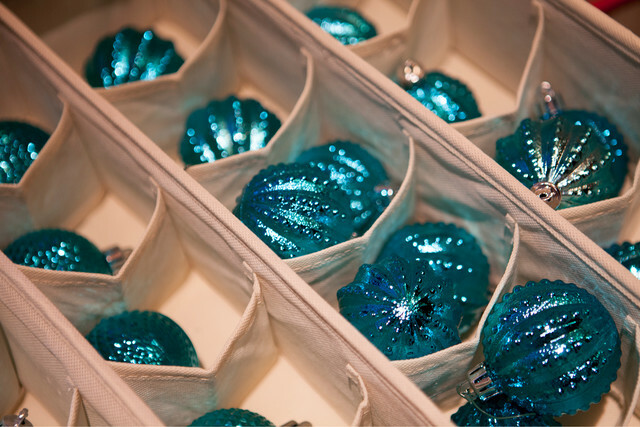 "Over the years, I would find ornaments from places I've traveled that had sentimental value. I've always given ornaments as gifts too," he says. But with that impressive collection also came some impressive problems. Each year, it grew, and each year, it had gotten harder to organize his collection into sections, specifics and more. 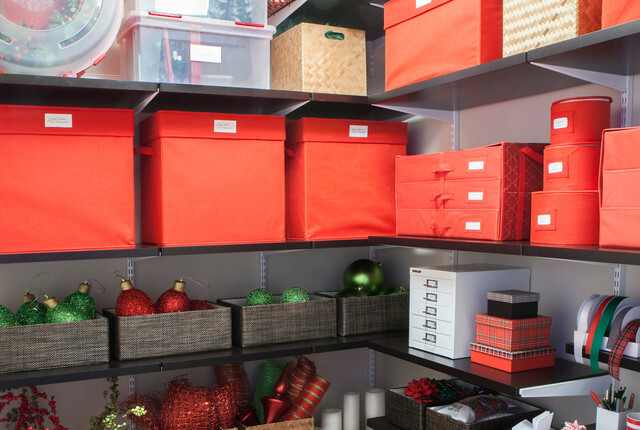 So, several months ago Ken decided it was time to create a storage space in his home dedicated solely to his Christmas decorations and gift packaging accessories. Before he went about trying to organize and prioritize his decorations, Ken knew just who to call. 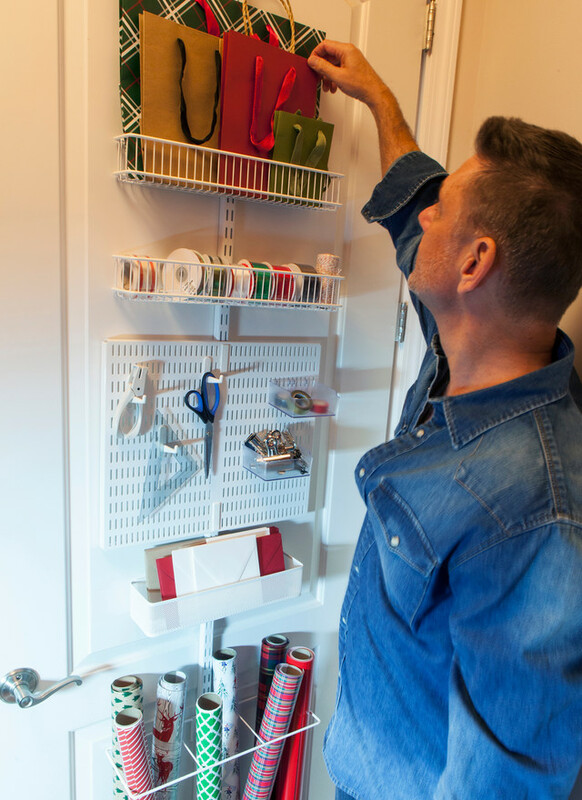 With the help of our fabulous Contained Home Organizer, Pamela Sherman of Chicago Organized Home, the addition of elfa shelving and several of our space-completing solutions, Ken took his storage space of disarray to organized display in no time. Here's how we did it! Ken's new space now has a place for everything and everything in its place. 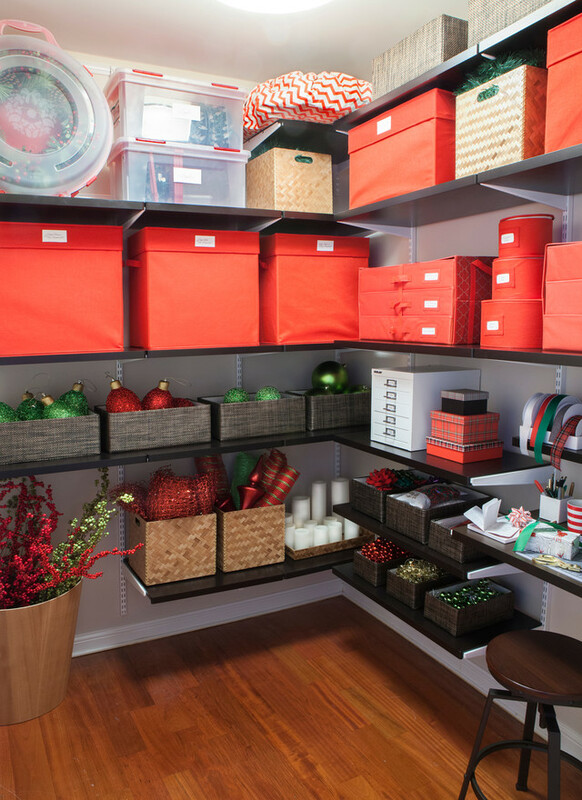 Ornaments, gift wrap, ribbons, wreaths and dinnerware can all be stored in this "catch-all" space that makes it easy for Ken to pick and choose how he wants the decor to look for the year. We used our elfa décor shelving solutions to provide customized shelving in the space where there was previously none. Now Ken has the ability to configure and reconfigure each year as parts of his Christmas collection grow! 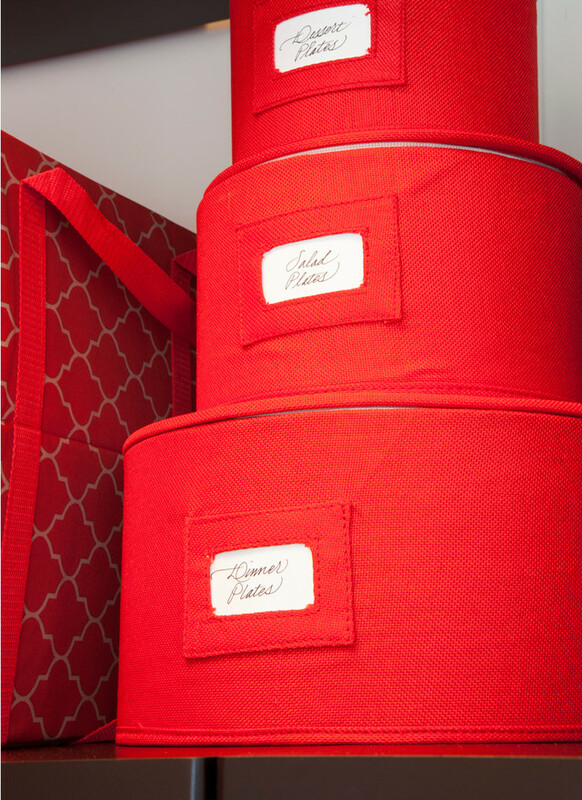 Our Red Round Plate Storage Cases provide a bright pop of Christmas-like color, while their labels make it easy for Ken to quickly identify and take down what he needs to set the table with each year. It also makes it a breeze to put each plate and serving tray back when the season is over! 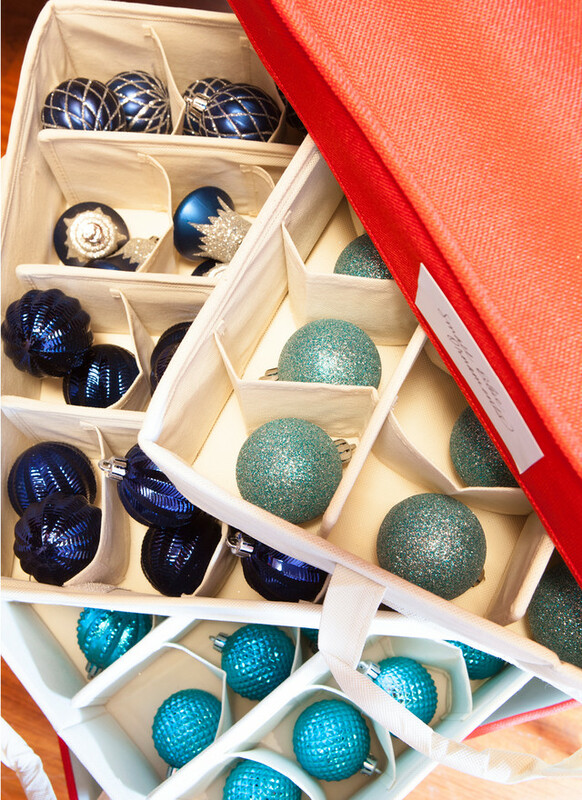 Our Holiday 3-Drawer Ornament Chests were perfect to keep some of Ken's most delicate ornaments. 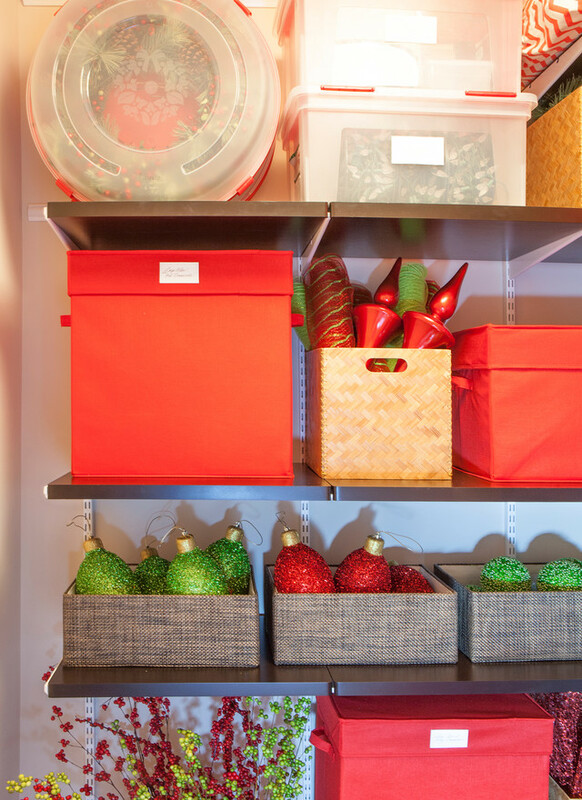 It has space for storing up to 54 ornaments, and each of the three reinforced drawers can be pulled from the frame and taken to the tree with ease. 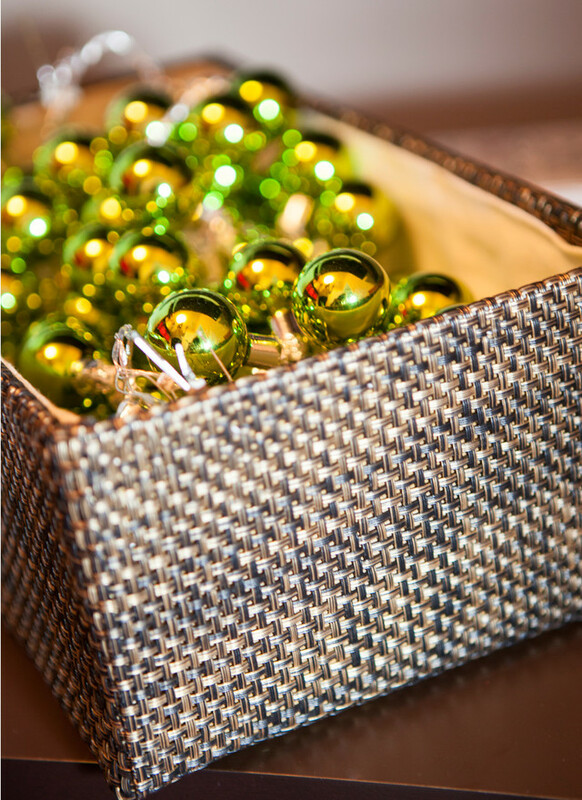 The interior of each Holiday 3-Drawer Ornament Chest is designed to provide individual protection for each ornament while still being able to store efficiently. 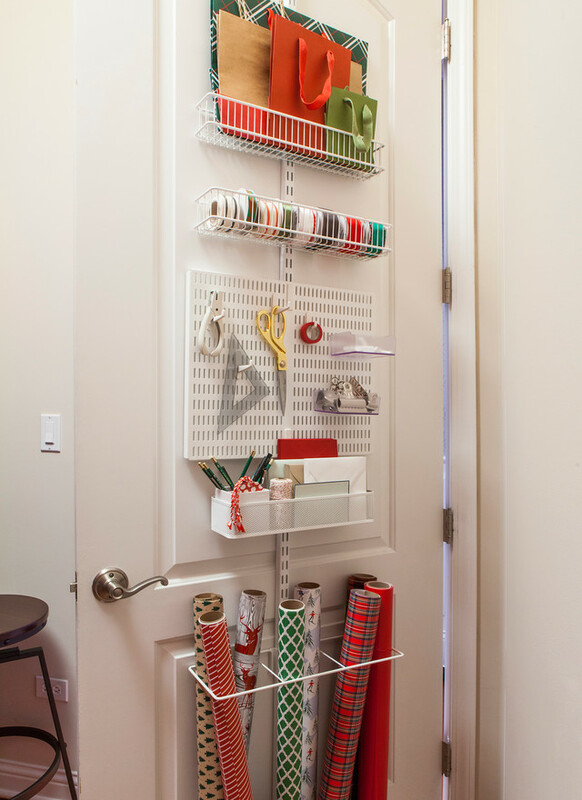 Ken designed this White elfa utility Gift Wrap Door & Wall Rack to meet his gifting needs. 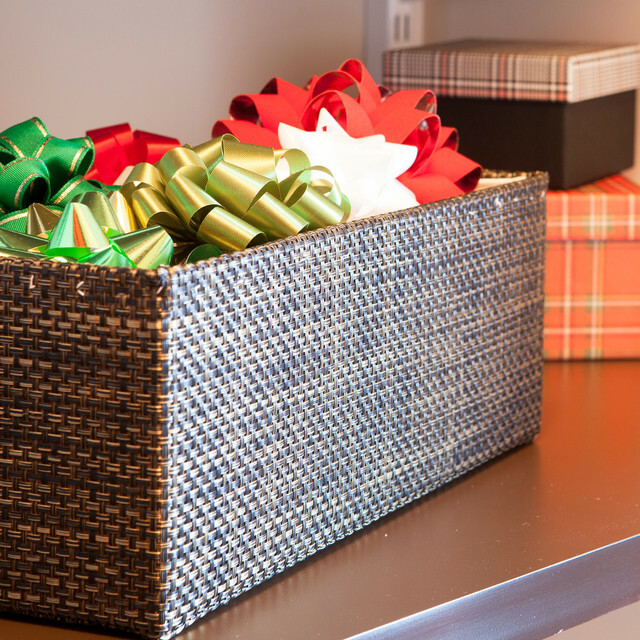 This design was perfect to store his gift wraps, ribbons, wrapping tools and finishing cards - all right behind a door. Ken now has a place to design and create each package and present. 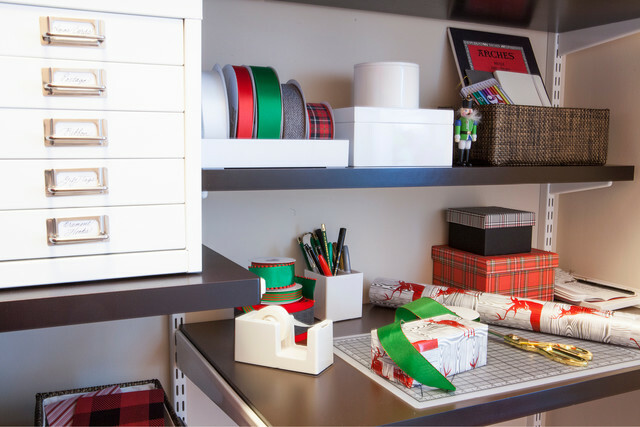 Using our Medium Lacquered Rectangular Boxes and White Poppin Accessory Trays, he's able to store tape, ribbons, scissors and more while still allowing them to be easily accessible. 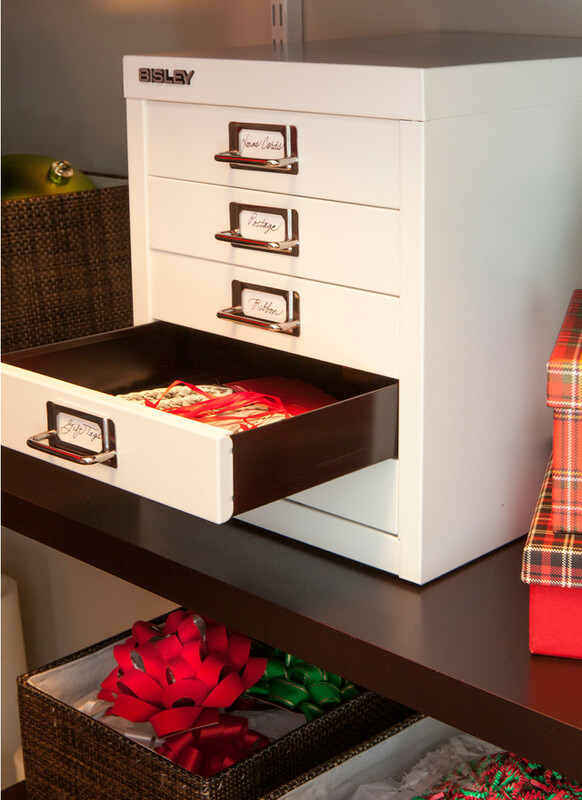 Our White Bisley 5-Drawer Cabinet, Poppin Tape Dispenser and Kiva Bins complete the picture of the perfect gift wrap station. Our Bisley 5-Drawer Cabinet has five deep drawers for use at home or the office. 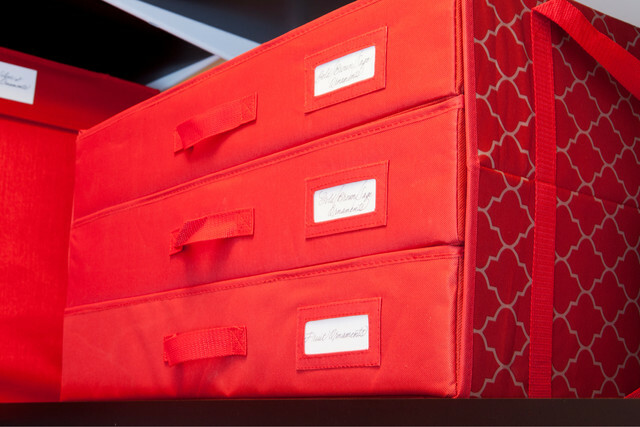 It accommodates Deep Drawer Inserts of all configurations for organizing small items like jewelry, makeup, pens, pencils, paper clips or small craft supplies. Each drawer has a label holder handle for marking the contents, so it's perfect for placing on a desktop or work surface. Ken uses it here to organize gift tape, postage, ribbon and more. "Christmas is always about your family or the one you create around you. My friends are most important to me; they represent all the good memories throughout the year," says Ken. 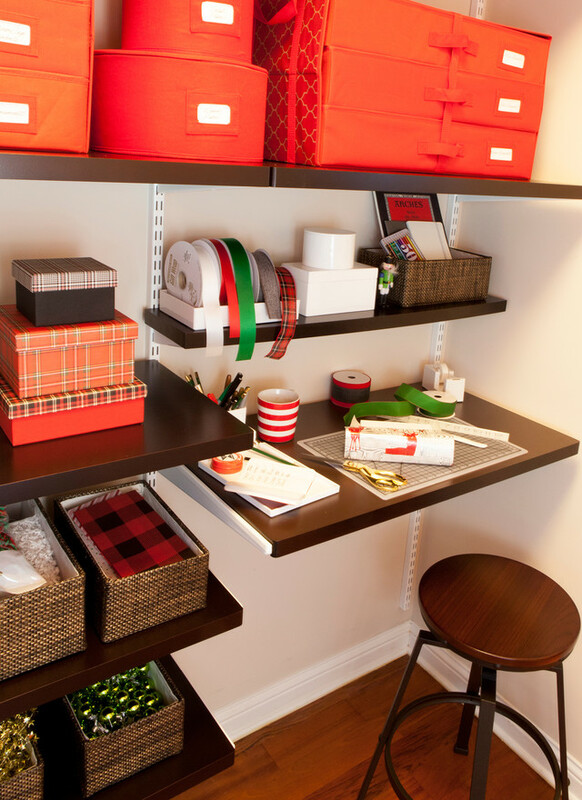 It's easy to see why this new gift wrap station deserves such a spotlight in his space. 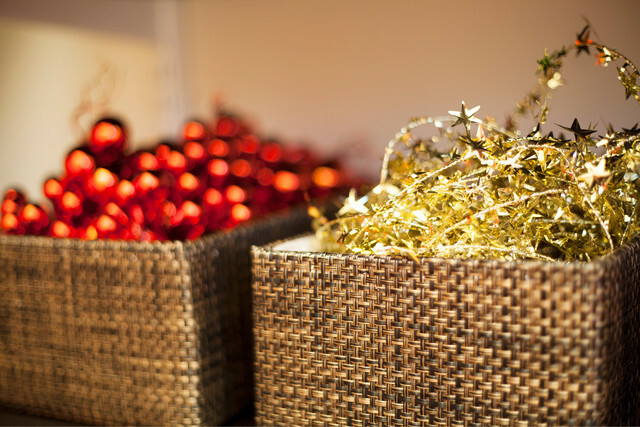 Ken used our Kiva Bins to store his strings of lights, twine and bows. The open design of the bin helps keep everything easy to assess and access when Ken needs it, and the beautiful copper finish of the bin looks beautiful on display in his space. "It's made my organization easier and so much more simple to find things. Everything now has its own place," says Ken of the newly organized space. 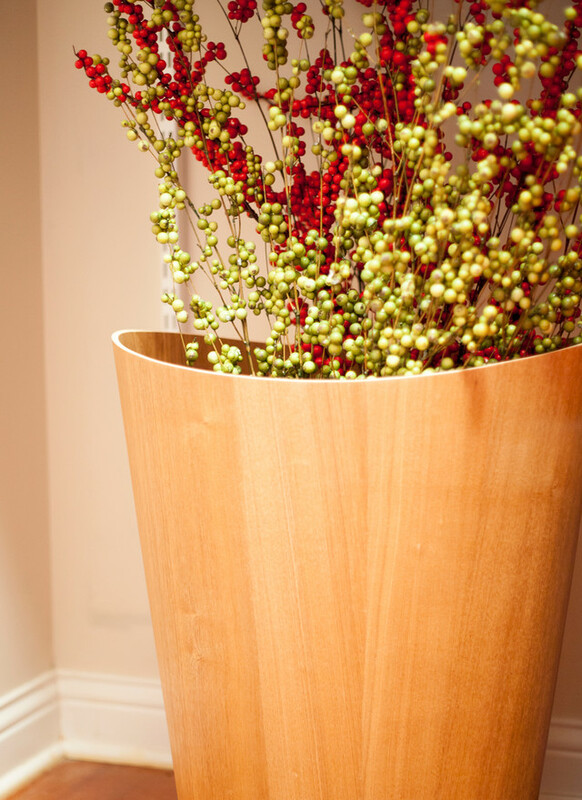 Our Natural Woodrow Wastebasket by Umbra works as the perfect place to store his taller festive decor. Now, it won't be crunched in a corner or tucked away where it's forgotten. "Organizationally, it will take me half the time it used to decorate, and even less than that to restore. I know exactly where everything is now, and it all makes perfect storage space sense," he says. Pamela's assistant, Hannah Marsden, helps organize Ken's space. Ken, we love what you and Pamela did with the space! Happy holidays and we can't wait to see what you create this Christmas!